Protect yourself and those you love. 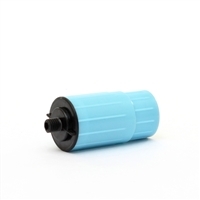 Filter your drinking water using Pump 2 Pure and be assured of receiving clean, great-tasting, guaranteed quality drinking water! 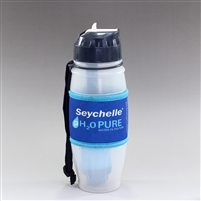 Built to reduce up to 99.9999% of cysts, bacteria and viruses from virtually any water source, The Seychelle Pump 2 Pure Kit is the product you need for various activities, including camping, traveling, and emergency preparedness. 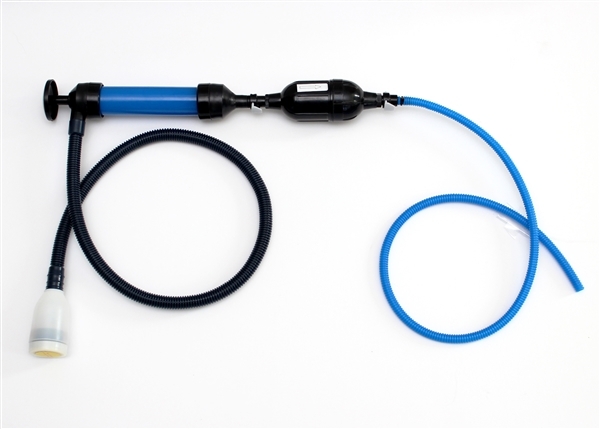 You can use the hose attachment from your kit to get water from your water heater or your water hose. Take the hose attachment and screw it directly onto the water heater water outlet. Then attach the In-Line filter from the bottom using the quick connect and you have access to gallons of drinking water for your family. Protect yourself and those you love...filter your drinking water using Pump 2 Pure from any nearby water source and be assured of receiving clean, great tasting, guaranteed quality drinking water. Not to be used with salt water. Chemicals - Toxic chemicals,Trihalomethanes, PCBs, PCEs, detergents, and pesticides (DDT). Dissolved Solids - Heavy Metals, Aluminium, Asbestos, Arsenic, Cadmium, Chromium 6, Copper, Lead, and Mercury. Reduces up to 90% of Fluoride. Radiological – Gross Beta, Radon 222, Alpha Radium 226, Uranium, Plutonium, Cesium 134 and 137.
pH - Increases the alkalinity (pH) of drinking water. Quick disconnect fittings are installed to allow quick adaptation. The pump can be adapted for use with the SE-2 Dual Tower unit, in the event there is insufficient pressure to move water through the SE-2 unit. 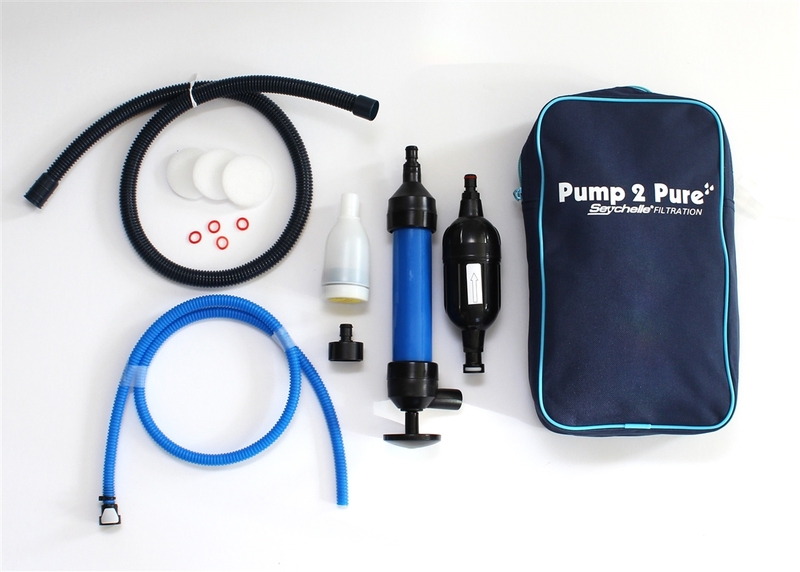 The pump can also be used as shown with the Inline Supreme Filter. The pump can be used to get water from your water heater. Water that has passed through the system is potable to drink.